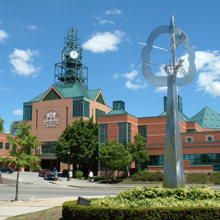 Pickering Public Library, which includes a main library and two branches, serves approximately 92,000 citizens in Ontario, Canada. To modernize the library’s offerings and expand its electronic collection, library leaders researched digital magazine platforms looking for an easy-to-use and affordable solution. Flipster was an easy choice for Pickering because, as an EBSCO customer, the library already had trust in the brand. Moreover, the solution fit their budget, and ordering options were flexible. Since launching Flipster in May 2015, the library has nearly doubled its overall magazine circulation. A decrease in print circulation numbers and the trend toward offering a variety of electronic resources led leaders at Pickering Public Library to research digital replicas for their print collections. Introducing e-books, audiobooks and digital magazines would attract new users, invigorate current users, and enable patrons at all library branches to access the same electronic content. 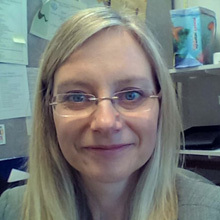 According to Collections Librarian Carolyn von Hasselbach, the decision to offer digital magazines made good business sense. The library evaluated one alternative vendor but ruled it out because of its hefty platform fee and magazine pricing. Pickering Public Library began subscribing to Flipster in May of 2015. Hasselbach said Flipster’s on-the-go digital access and wide selection of magazines delighted the library staff and their members, who were thrilled to have access to popular magazines such as People and The Atlantic. “We've had really good feedback from our library members and staff,” she said. Accessing Flipster is easy; all a patron needs is a library card and an Internet connection. Patrons simply download the Flipster app for Apple® or Android™ phones and tablets, or Kindle Fire tablets, and can browse the magazines their library offers directly from the app. The library currently subscribes to 47 titles from must-have magazines such as TIME and Rolling Stone to popular food and cooking magazines such as Chatelaine and Cooking Light. To meet the unique needs of Canadian readers, the library also subscribes to regional magazines such as Toronto Life and Canadian Geographic. Pickering also enjoys using EBSCOhost Collection Manager (ECM) to maintain its Flipster subscriptions. ECM allows library administrators to easily select new titles, add additional copies, and renew existing subscriptions. To promote Flipster to current and potential users, Pickering Public Library executed a variety of marketing activities to get the word out. First, they sent out a press release followed by announcements on their website and in their library’s email newsletter. As the buzz started to build about the new digital magazine platform, the library assigned a staff member to become the Flipster product champion. Pickering Public Library also applies stickers to their print magazines announcing that the library offers the equivalent magazine in digital format via Flipster. And if they offer a magazine through Flipster only and not in a print format, they place a blank cover page of the magazine in the magazine rack and indicate that it is available digitally. To keep the service fresh in their members’ minds, the staff also consistently posts about Flipster on their social media channels. Since launching Flipster, the library has seen a substantial increase in digital magazine circulation. The library has experienced a 61 percent increase in online views and a 165 percent increase in downloads, year over year. The library staff continue to appreciate how easy Flipster is to use, and von Hasselbach confirms that the platform has performed well for the library and its members.